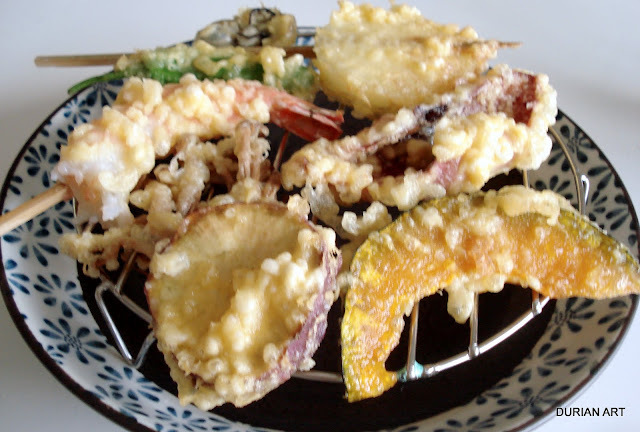 Posted on September 5, 2012 by My	• This entry was posted in Archive Menus, Avec la recette, economic and frugal, festive, Home-made Fait-Maison, Japan/ cuisine japonaise, slow food, street stall, ultra simple, Uncategorized, Ustensiles -Tools, vegan, vegetarian, With recipe and tagged aburi, aemono, agedofu, agemono, beef BBQ, blanched, boiled, broth, buri daikon, calamari, champuru, chicken, chilled, classic, clear soup, conger eel, dashi, dashi’t, dengaku, dobin mushi, dressing, faux-sashimi, flamed sashimi, fried, gohan, goma ae, green, grilled, hamo, hiya yakko, ika-yaki, itamemono. Stir-fried, Japan, Japanese, jiru, kabayaki, kaki furai, kakiage, kakuni, karaage, kimizu, kimizu-ae, kinpira, konnyaku, leaf, maki, meshi, miso soup, miso-yaki, mushimono, New Year soup sake kasu, Nihon, nimono, nitsuke, noodles, o-hitashi, o-tsukuri, o-zoni, okazu, Okinawan scramble, okowa, pickle, poached, raw, raw fish, reishabu, ryori, salt grilled fish, sarada, sashimi, sauce, scallop, shijimi, shioyaki, shira-ae, simmered, skewers, soup, steamed, stir-fried, stock, suimono, sunomono, tempura, teppanyaki, teriyaki, teriyaki chicken, tofu cubes, tsukemono, tuto misoshiru, vegan, wasabi, washoku, white soup, Winter, yaki, yakimono, yakiniku, yakitori. Bookmark the permalink.